If you're an event or conference organizer, perhaps you are good at juggling multiple tasks under time pressure. You want to make sure everything is in place, which is not a simple process when doing it manually yourself. Especially for corporate events and business/academic conferences, there are some extra things you have to care about, such as attendees' satisfaction and event's ROI. With that in mind, an event management software becomes an event planner's best friend. There are many conference management tools that can save you time and keep things organized. Just keep in mind that it's not one size fits all, and each event planning software has its own purpose. Before truly committing, it is recommended that you explore and compare a variety of popular conference management software to find the best one that meets your needs. Be clear about what you need: ticketing system? Web or mobile brochure? Or also for attendee engagement? Understand different strengths of event management software. Are they more like all-in-one solutions or specialized for a particular task? Check if they are good fit for your event’s type and needs: e.g. conference management, lead retrieval for expo. It is a popular ticketing solution for all kinds of events ranging from small meetups to large concerts. The system is customizable and allows people to register from their phones. You can use it to send email confirmations and reminders. They charge an extra 2.5% of the ticket price plus $1.99 per ticket and you can pass this fee onto the ticket buyers. While Eventbrite is well known, some organizers think the fee is a bit high. Summary: Popular for smaller events or entertainment events. A bit pricey compared to other registration tools or all-in-one event planning software. There are so many event planning software but most are specialized for one function. It is time consuming and pricey to juggle multiple pieces of software. Whova all-in-one event management software enables you to seamlessly manage your event from beginning to end within one system. It provides flexibility to opt in/out certain functionalities according to your needs(e.g. logistic management tools, conference management software, attendee and exhibitor engagement solutions). 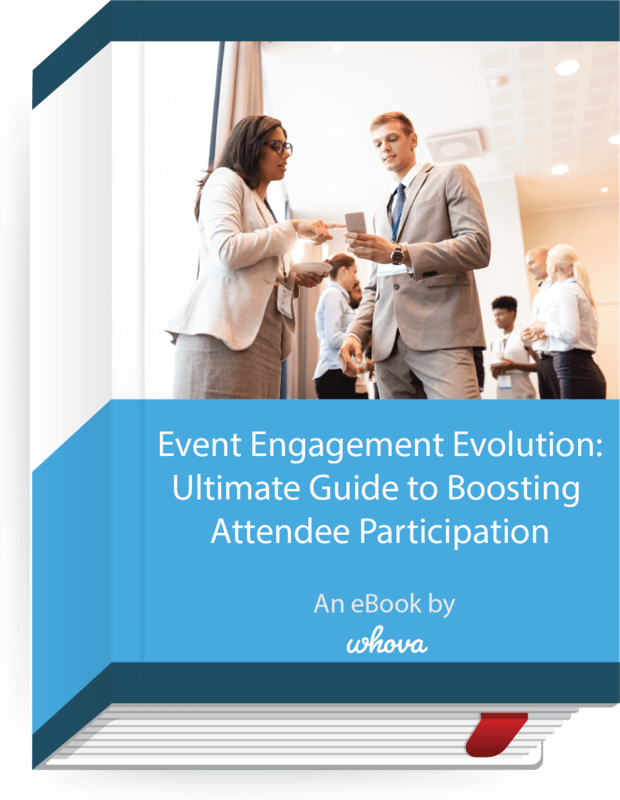 Take a look at how it would help on registration, attendee engagement through the Whova event app, event website creation and agenda management , attendee check-in via the event check in app, name badge generation, and more. Summary: An affordable, mobile-friendly, all-in-one event management platform. Whova won multiple awards including the People's Choice Award in the Event Technology Awards ('Oscars' of event technology). The Whova event app and Whova registration are popular in US/Canada, Europe, Australia, Asia, etc. The Whova app is the 1st event app pioneering attendee networking and engagement functionality. It has the highest ratings in app stores among all event apps. Whova offers customers many time-saving event management tools for free. Request more information here. The Whova event planning software was a great organizational and communication tool for our meeting participants. The app allowed us to engage each other throughout the event, kept our event paperless and provided us with great memories through the photo sharing. We look forward to using Whova for future conference management. Cvent has been in the event market for many years and it provides software and services for event management such as venue sourcing, housing, traveling, online registration, etc. Their venue search option is useful, but it is limited to hotels. It’s a good option for high-end events where the cost is less of a concern. Users like Cvent’s comprehensive functionality but the complexity is a common complaint. Summary: It is more suitable for high-end, large events due to its price. Similar to other traditional brand, its strength may not be in offering modern mobile technology. It is a project management software. If you’re into the “to-do” “doing” and “done” task management approach, you’ll love Trello. It has a strong visual interface, simple usability, and collaboration features. While communication within Trello is strong, it’s not very powerful when it comes to allowing users the ability to take a step back and get a big picture of the entire event management. There is no master calendar view for a bird’s eye picture, only a task-by-task view. Summary: A good tool to track progress of each task. While it can be used as an event planning software, it is a bit hard to see the entire project status for event or conference management. Social Tables simplifies seating charts management, room layout design, guest check-in, and event attendance tracking. It’s near perfect for the detailed-oriented event planners especially for small/mid-size social events like weddings. You can also collaborate with caterers, venue providers, and fellow organizers through the system. For business conferences, if you look for a check-in tool rather than a seating charts management tool, first check whether your online registration system or conference management software has a check-in feature in it. Summary: Event planning software especially for seating chart creation and guest check-in for social events like weddings. DoubleDutch is one of the well-known event management software especially for high-end, large events such as enterprise events and tradeshows. With their development team, you can build your own app with complex custom features as well as back-end integration. Its data analytics and CRM integration especially help expo organizers and exhibitors understand their ROI. However, if you are under tight budget constraints and don’t have to develop special features only for your events, it might be wise to compare the cost and benefits with other event apps. Summary: Good for high-end trade-shows that need customized feature development and back-end CRM integration. Attendee engagement and networking features are not their strength. Expensive choice. There are many platforms that help you collect and display tweets about your event on a big screen in real time. One of the first social media walls, Everwall (formerly Tweetwall) gets posts on displays quickly and also provide extensive moderation, customization, and advertising options. If you already use Hootsuite to manage social media, it would make more sense to use Hootfeed. If you use the Whova event app, check out Whova's Social Wall, which automatically pulls out activities from the event app and displays them on a big screen, including not only Tweets but session reminders, photos taken by attendees, sponsors, live polls, and more. It's free if you use Whova event management software. Summary: Social media wall that displays live tweets on a big screen. Also check out advanced ones that can automatically pull a live feed from your event management app. WordPress is a popular content management system used by over 80 million websites and fully customizable thanks to many themes and plugins. You can find WordPress themes for conference and event management and build your own event websites. However, you may experience a steep learning curve if you are not familiar with WordPress. Most of all, you have to manually update event contents such as conference agenda and speaker information over and over, which is tedious and error-prone. Summary: A general website builder. It's not an event planning software but there are a few built-in themes for event websites. Content management part is not specifically tailored for conferences, requiring you to manually update event information repeatedly. Check complementary solutions like the Agenda Center and Speaker Center. With recent event tech, you can create an event website in tens of minutes and let it auto-updated. You may be wondering how event planning software like Whova works. Below is a short video to show you how Whova helps busy event organizers save time and money, and enhance the overall attendee experience. Now that we’ve given you a comprehensive list of the most popular event management software, you can confidently decide which options to further explor. Keep in mind that it's not about which software we say is best, it's about what works best for your event. You can first prioritize your needs, which may include saving time handling tedious event management tasks, creating conference schedule and managing speakers' information with ease, increasing attendees' participation, finding affordable event registration etc. Then, see what can be your best sidekick. Don't forget to explore app store reviews if the event planning software offer mobile solutions. Also, contact the vendors and request for a live demo. Click here to request a free live demo. After all, the right tool could very well turn you into a rockstar event organizer.